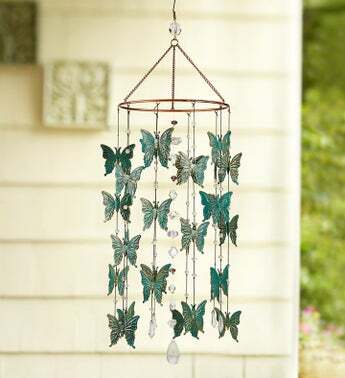 Just as spring awakens the senses, so does our unique butterfly wind chime. Featuring vibrantly colored metallic butterflies and shimmering glass beads, it sways gently in the breeze to create a soothing bell chime. Let this graceful keepsake bring tranquil tones to a porch, deck or patio space.